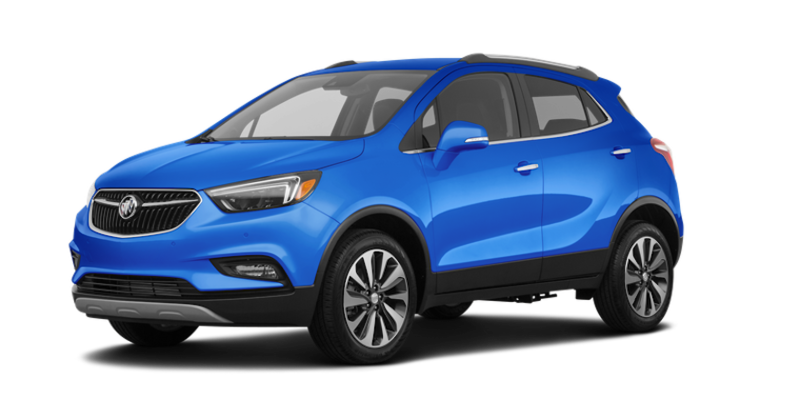 The 2019 Buick Encore might arguably qualify as the automotive version of the “coming of age story”. When first released for the 2013 model year, the ‘Baby Buick Crossover’ represented a unique annotation in Buick’s 110-year history. With its 1.4-liter engine and reduced wheelbase, it felt a little bit like “Buick Lite” at first; but that sentiment was soon exchanged for a warm reception and general praise of everyone who found themselves behind the wheel of the encore. Versatile and complete with the wealth of amenities one had come to expect from that particular segment, the Encore stood as a worthy competitor while managing to retain an accessible price point. And now, with five years of evolution under its belt, it reflects the kind of thoughtful refinement that can either help an offering to stand out in its first few years, or simply enable it to blend into the ‘me-too’ mindset. The Encore achieves the former, and its 2019 model is well worth some deeper discovery. At least in terms of “broad strokes”, Buick has wisely chosen to steer away from arbitrary updates, minimizing the differences between the 2019 Encore and its immediate predecessor. That said, it’s hardly a blind carryover. In fact, the notable updates (including, but certainly not limited to the reassignment of trim levels) makes it easy to see why so many are keeping their eyes trained on the Encore as we approach what might be one of the most pivotal decades in automotive history. When one thinks of distinctive styling they may not arrive at the crossover segment as their first connection. Even Buick has had less to say than some of their competitors in terms of their overall design philosophy, allowing it to thrive untethered by the loftiness of expectations. With this in mind, what the Encore might lack in terms of impactful size, it more than makes up for in terms of impactful design choices. Flowing outwards from the iconic badging, the Encore is a testament to refinement, confident in its own identity with no desire to be anything else. It’s modest grille and angular headlamps aid in composing a tasteful front fascia which flows outward. With an understated yet athletic stance, the body contouring of the Encore speaks to aerodynamics while the wraparound window styling speak to both safety and functionality. Even the rear end has a fresh and sporty feel to it, ensuring a full realization of Buick’s intent. From the more neutral appearance of Summit White, or White Frost Tricoat to the bold statement made by Winterberry Red and Deep Azure Metallic, the 2019 Encore is offered up in eight bold-yet-tasteful colors that only strengthens the vehicle’s almost universal aesthetic appeal. Taking what we can only assume to be the same inspiration used in the exterior design, the Encore offers a tastefully refined cabin experience. With strong material choices, tastefully proportioned dash and display, and intuitive control-placement, it stands out for its driver-centric strengths. But it stands just as clearly as a passenger’s car, with comfortable seating for five and ample room to breathe for all onboard. Whether you opt for front or All-Wheel Drive (across the breadth of available trim levels) the Encore is powered by either (i) a 1.4-liter turbocharged 4-cylinder engine, or (ii) a 1.4-liter SIDI, both of which are paired with a six-speed automatic transmission. The former channels 138 hp with a 148 lb-ft torque rating, earns a combined 29 mpg, and features variable valve timing and multi-port fuel injection for the optimization of fuel efficiency and overall driving performance. The latter cranks out 153 hp with 177 lb-ft of torque, and features Start-Stop technology to minimize fuel consumption. Carrying over the distinct strengths, such as a cushy ride and silently purring cabin, the Encore retains the kind of confident, shake-free ride expected of the Buick name. Combined with well-center weight distribution and agile handling, it takes the sensibility of a crossover and infuses it with a genuine sense of fun. Is it right for you? Only you can decide for sure, but in a sea of cookie-cutter crossovers fighting over one another to be the singular and shining example of ‘me-too’ success, take pause. Journey back to the 2013 model year, when Buick served up a game-changer. One that has continued to evolve with a sense of purposeful refinement, choosing to focus on offering everything today’s driver needs, rather than echoing the kitchen-sink mentality of their competitors. 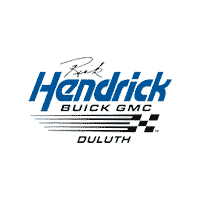 We invite you to try the 2019 Buick Encore out for yourself, here at Rick Hendrick Buick GMC in Duluth. We look forward to hearing your thoughts on the Encore, after you’ve test driven one.